Ankle sprains are among the most common sporting injuries. They are often seen as trivial injuries to many people, however up to 40% of ankle sprains can lead to chronic pain, instability and recurrent sprains. Effective early management and rehabilitation and a guided return to sport program are important in reducing the risk of chronic symptoms. For more information read the attached blog post. Ankle sprains are among the most common sporting injuries. They most commonly occur with an inversion (rolling out) mechanism that causes stretching or tearing of the supportive ligaments of the outside of the ankle. The lateral ankle consists of three ligaments the anterior talofibular ligament (ATFL), calcaneofibular ligament (CFL) and the posterior talofibular ligament (PTFL). The anterior talofibular ligament is the most commonly torn ligament in the body. Ankle sprains can vary greatly in severity from a minor “rolled ankle’ to a complete ligament rupture with or without a fracture, tendon or muscle injury. They are graded as 1, 2 or 3 depending on the severity. Ankle sprains can be viewed as a trivial injury by many people, however up to 40% of ankle sprains can lead to chronic ankle instability, chronic pain and recurrent ankle sprains. Effective early management, rehabilitation and guided return to sport program is important in reducing chronic symptoms. Early management follows the RICE principle. Rest- Relative rest is recommended, the amount of rest required with depend on the severity of the sprain. Complex sprains and sprains that are associated with a fracture may need to be immobilised in a camboot for up to 6 weeks, whereas low grade sprains are generally ok to walk on as tolerated. Ice- Icing for 20 minutes on and 20 minutes off for the first 48 hours is necessary to reduce inflammation. Compression- Compression using tubi-grip can help reduce swelling. Elevation- To reduce swelling pooling in the foot and ankle, elevation is required throughout the day. Early physiotherapy management will focus on reduction of pain and swelling and restoring normal joint range of movement. 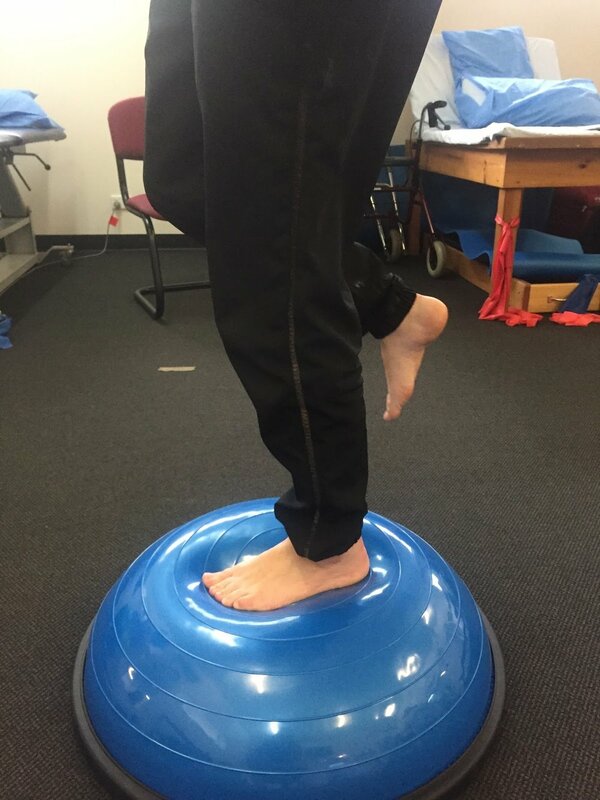 This is achieved by using techniques such as soft tissue massage and joint mobilisations. 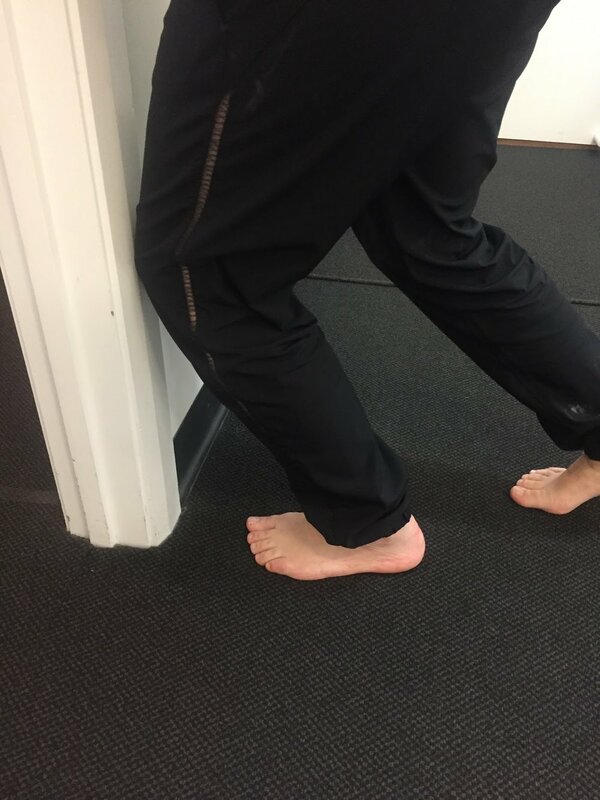 Next, you will be given exercises to increase the strength, flexibility and proprioception of the muscles in the legs including around the ankle, knees and hips. Proprioception is the awareness of where your body is in space. Following an ankle sprain this can be impaired and increases the risk of further sprains and chronic instability. 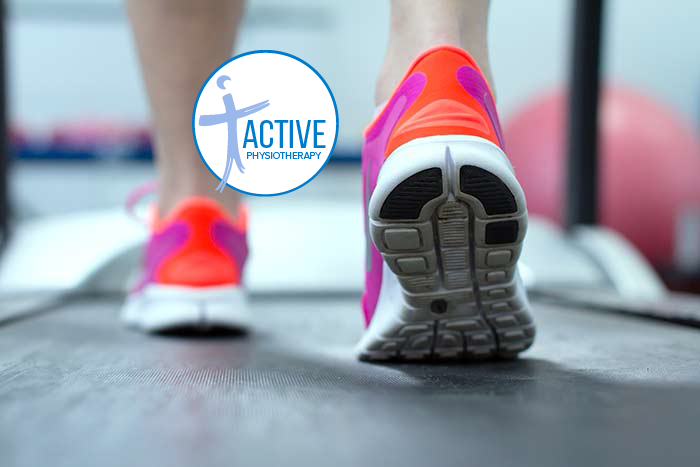 Your physiotherapist will guide you through exercises targeted specifically towards your sporting requirements. Starting with straight line running, then adding in change of direction and more sports specific drills. Taping and bracing is recommended in the early stages of return to sport to reduce to risk of reinjury. If you have sprained your ankle or are experiencing ongoing pain, instability or recurrent ankle sprains your Physiotherapist will be able to thoroughly assess you and recommend suitable management.